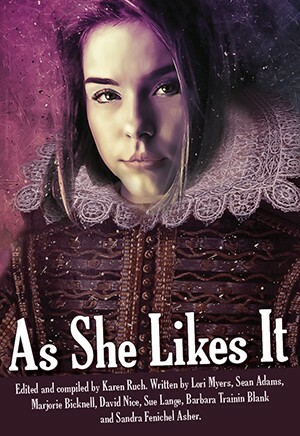 As She Likes It is an anthology of short plays that features women from Shakespeare’s canon. The characters step outside of the male-dominated context of their original works, sometimes into another time and place. These familiar women from classic stories may have had muted voices in Shakespeare’s plays, but here they take center stage to discuss the choices they have made and navigate the power structures that have controlled their lives. These plays offer great roles for women, opportunities for thoughtful scene study, educational exploration and a larger conversation about how these women’s stories resonate in our current era.